Do toys breed more toys? We’re not sure. Sometimes it seems that toys multiply when you look away. You can easily find yourself swamped in toys, and you’re probably thinking ‘Nobody need this many toys’. And you’re probably right. 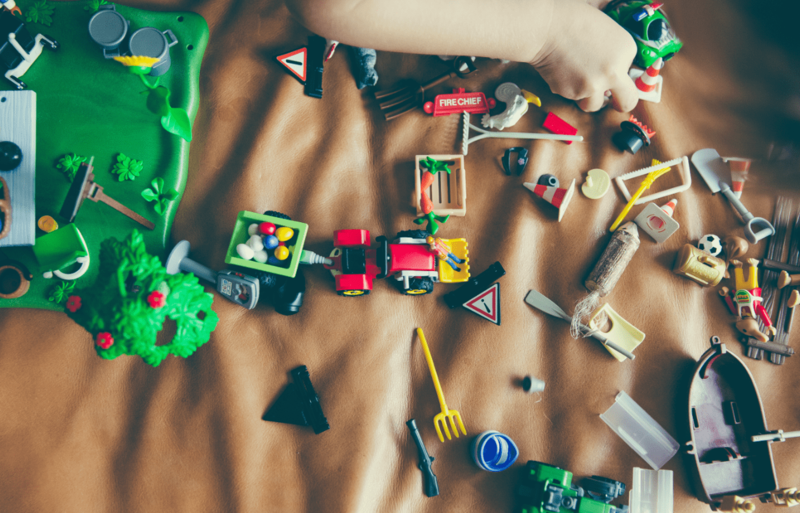 We’ve scouted the web, and asked around for some expert advice on how to manage toys in the home. If you have any other game changing advice, please let us know and we will happily add it to our list of tips. Do we have too many toys? The short answer is yes, you probably have too many toys. It’s a tough balance, because of course you want your kids to be happy and to not be teased because they do not have the newest Power Ranger. But they can also only play with so many things at once. Sometimes it’s easy to see if things aren’t being used, and other times it’s not. Hands up if you’ve thrown away something that was barely used but apparently the ‘best toy ever’? Guilty? You’re not the only one! One way to figure out what’s an important toy and what’s not, is to go through it with the kids. Make three piles; one for toys that are being used every day, one for toys that are being used sometimes, and one for toys that haven’t been used for a while. Now, nothing is to be thrown away just yet! Put the least used pile away for a while and see if they mention it. If they’ve forgotten all about it, the toys are cleared to go on to another owner or to be thrown away. Keep the other two piles in two separate boxes, then keep an eye on them. Are any of the daily toys not being used daily? Move them into the ‘sometimes box’. Are the ‘sometimes toys’ not being used, move them to the box out of sight. If you go through the toys pretty regularly, and from the beginning, it’ll be easier to manage. # If your kids are lego fans, then we’ve got some solid advice for you. If the little ones aren’t old enough to want their bricks sorted meticulously by colour, size and purpose; do yourself a favour and check out the Lay’n’go activity mats. 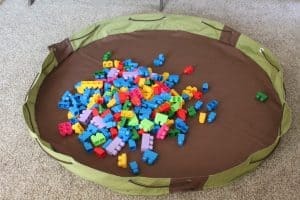 The idea is an activity mat where you can store all the bricks and tidy up in seconds. 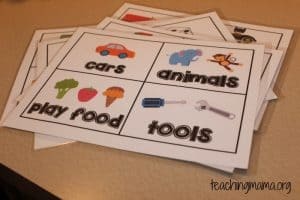 If you’re smitten by the idea, then check out this easy guide to how you can make your own activity mat. # Label the toy boxes. If you want your kids to tidy after they’ve made a mess, this trick might just save your sanity. When you’ve got boxes labeled with exactly what should go in them, it’s easier to put things back. Not to mention it’ll be a hundred times easier to find things once the toy inventory starts growing. # Clare from EmmysMummy told us that they have a crate each in the hall for storing all the things that would’ve probably landed on the floor otherwise; hats, gloves, school stuff etc. We thought that was a great idea, for toys too. If you’ve got a few toy favourites, make a box for each kid so they can keep their top 5 toys somewhere that’s handy for you all. 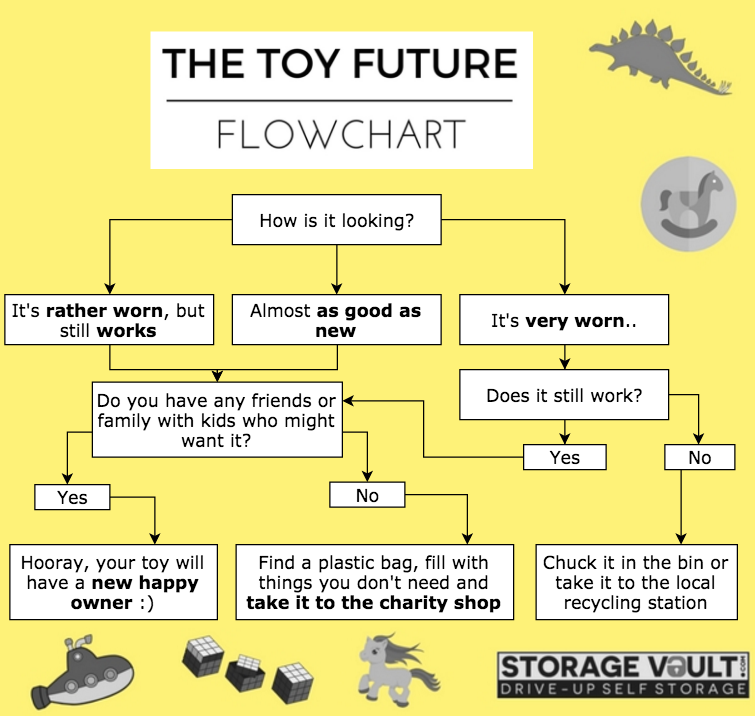 What to do with old toys? When you’ve decided that Anna doesn’t need her doll house any more, or that Rory has outgrown his radio controlled car, then what do you do? # Some of the toys might have a sentimental value. Make one box of keepsakes per child that they can pass on if they have kids. Put it in the loft, in the basement, or rent a self- storage space for things like these boxes that you want to keep, but don’t need in your everyday life.